Mumbai, Maharashtra, India: VitrA Nisantasi, Istanbul, Turkey, is more than a shop, it is a creative platform designed by the world-famous designer Mr. Paolo Giachi meant to host bathroom accessories and working space in over eight retail floors. The product zoning allows to define stylistically unique areas. Half transparent wooden and glass panels create the shadow games alternating with welcome relaxation areas for customers. Each floor is combined with a golden staircase of a unique color surrounded by LED light cuts. The façade made of micro-perforated and LED backlit panels simulates the fluid movement of the water, creating a striking nocturnal effect. 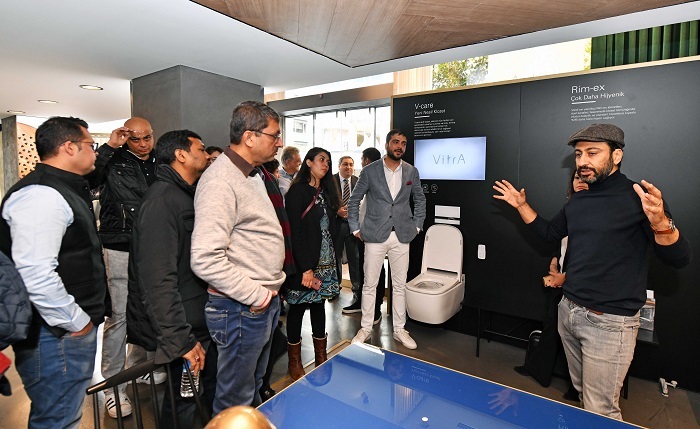 VitrA the leading bathroom solutions brand of Eczacıbaşı Building Products Division welcomed a group of 30 Indian leading architects & interior designers. Mr. Erdem Akan, Global Design Director, VitrA is a master of all trades-designer, design manager, art director, curator, instructor, with vast academic background, degree in mechanical engineering, industrial design and design management. He addressed the 30 prominent Indian architects and described the concept behind various products, which are available in India and across the world. He also spoke about water conservation and green technology. The team of 30 architects was a part of WOV, (work on vacation) version 2. The architects not only enjoyed the soft music being played by the 3 piece band, and savored various Turkish delights but also appreciated the display and frequently enquired on design and product. VitrA is a leading brand of Eczacıbaşı, a prominent Turkish industrial group. Eczacıbaşı, core sectors are building products, healthcare and consumer products. VitrA manufacturers 5 million units of sanitary ware, 350,000 bathtubs, 370,000 units of bathroom furniture, 3 million faucets and 2.5 million bathroom accessories every year. 50% of production is exported to over 75 countries worldwide for sale in 150 exclusive showrooms and over 2,000 sales points across the world. 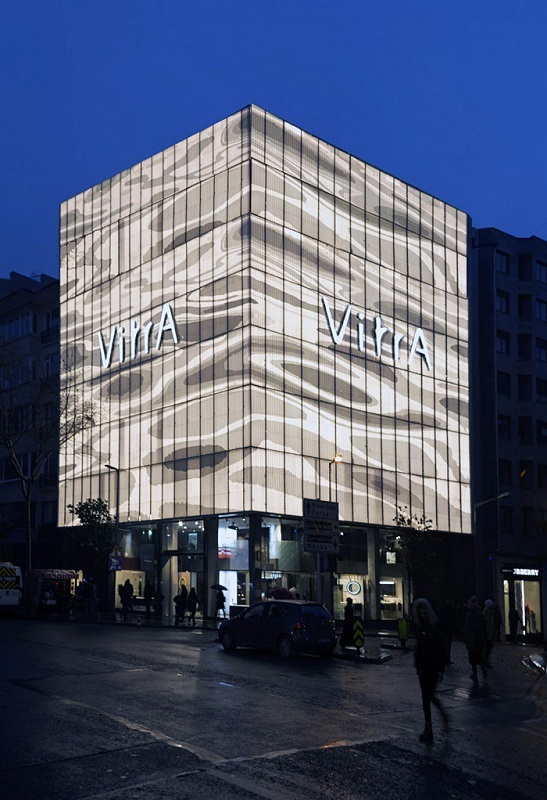 VitrA Nisantasi, Istanbul, Turkey, is more than a shop, it is a creative platform designed by the world-famous designer Mr. Paolo Giachi meant to host bathroom accessories and working space in over eight retail floors.